The writer Orhan Şahin returns to İstanbul after so many years to help the well-known director Deniz Soysal to write his first novel. 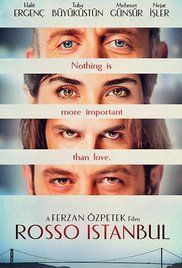 Orhan finds himself to look with nostalgia at the places where he was born and raised, reliving the relationships with friends, family and past loves. Read more on Wikipedia.